1) Mentzel, T. 2001. 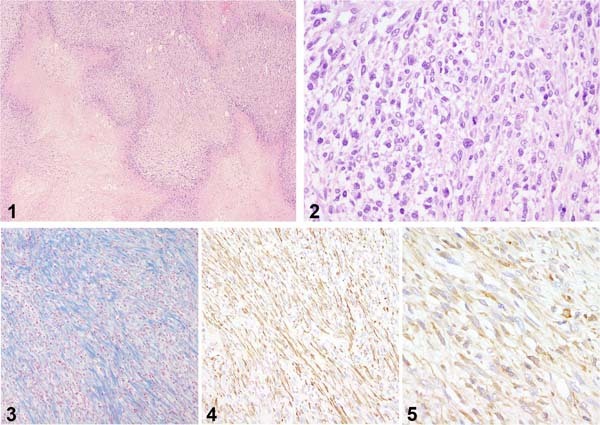 Myofibroblastic sarcomas: a brief review of sarcomas showing a myofibroblastic line of differentiation and discussion of the differential diagnosis. Curr. Diag. Pathol. 7: 17-24.